Ok, how have I not seen these Crash Course in World History videos before? These are truly magnificent. I think I learned more about the Industrial Revolution in this 10 minute video than I ever learned in a college class…. or at least this video made it more memorable! The videos are obviously very visual, relying on sophisticated graphics and historical imagery. They relate the past to the present, creating a real world learning situation. The videos ask critical thinking questions that could lead to class discussion and more. I could so easily see how these could be incorporated into history classes. The content is delivered very rapidly, and is actually a pretty good level. You could use these with middle school with support, and easily with high school. Does this look enticing for a 21st century visual learner? 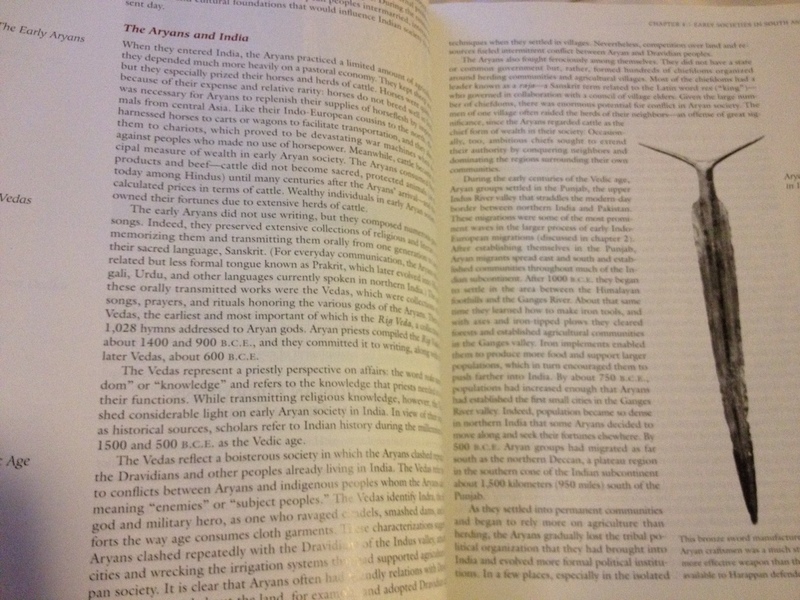 Remember when I posted pictures of the textbook my daughter is going to use in her World History this year? I’m not saying these videos should be the sole curriculum of the class, but geez, which method of learning do you think most students would engage with more? I certainly hope that I hear that her AP World History class is using other media BESIDES the photo at right. In a recent post, I lamented my pathetic design skills. It is sad, and I truly wish I had a better sense of design, an ability to turn information into a visualization. I see many places where this would be an incredibly useful skill, both in my job and in my volunteer work. Even in low-key meetings, using visuals can be far more powerful than a bunch of words or a long talk. Yet, my presentation skills are amateurish at best. It’s rather embarrassing. Our society has shifted tremendously to using visuals, and students need to know how to interpret them and create them. It’s going to be at least as important, if not more important, that writing the ubiquitous 5-paragraph essay. Of course, content is king – it always will be – but presentation is becoming more and more essential. There are many other ways besides the written word to communicate ideas. Video, photography, art, infographics. The tools are there, we just need to let the kids use them. I have powerful photo and video editing software on my iPhone. Tools like iBooks Author, Keynote, Prezi and more are there to make polished looking presentations. Here’s a great post by Larry Ferrlazo about resources for creating infographics. Teach kids about the basic principals of design. Hire more art teachers to help. Let kids practice, experiment, fail, and succeed. Make sure you show design-inept kids, like me, how to be successful. I was incredibly good at those 5-paragraph essays. I could whip them up in a heartbeat, probably never getting less than an A-. In a world based on visual delivery of information, I’d have been a C student at best. Huh. Guess intelligence sometimes depends more on perspective than reality.